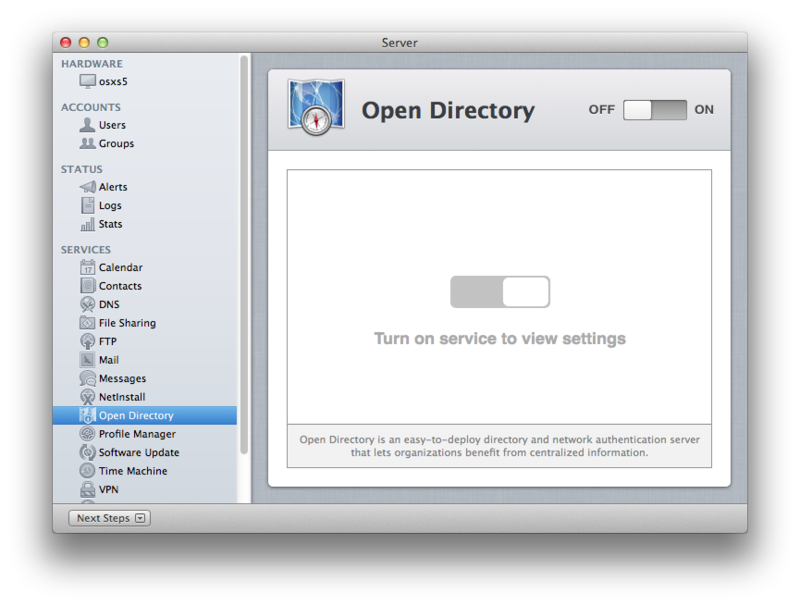 The concepts for installing Open Directory is exactly the same as previous versions of OS X Server. 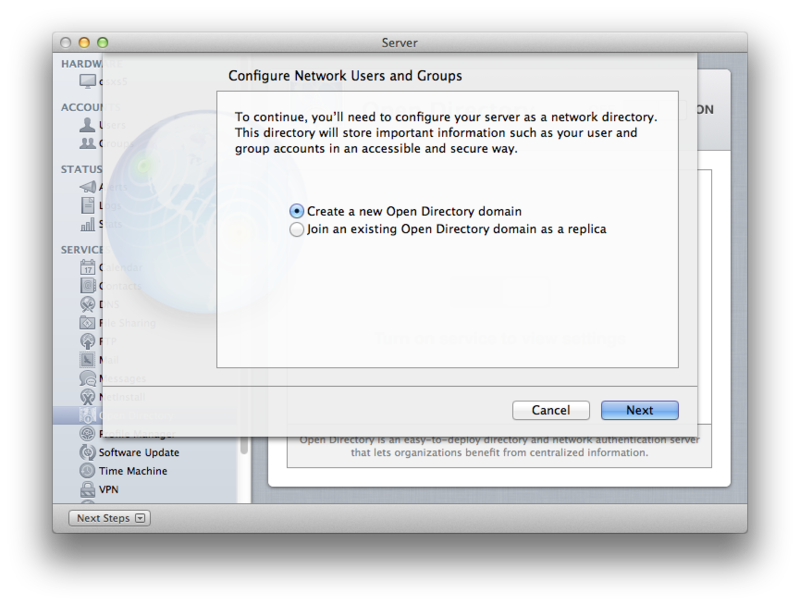 Select whichever you want (Master or Replica) and walk through the assistant to get your ODM/ODR running. 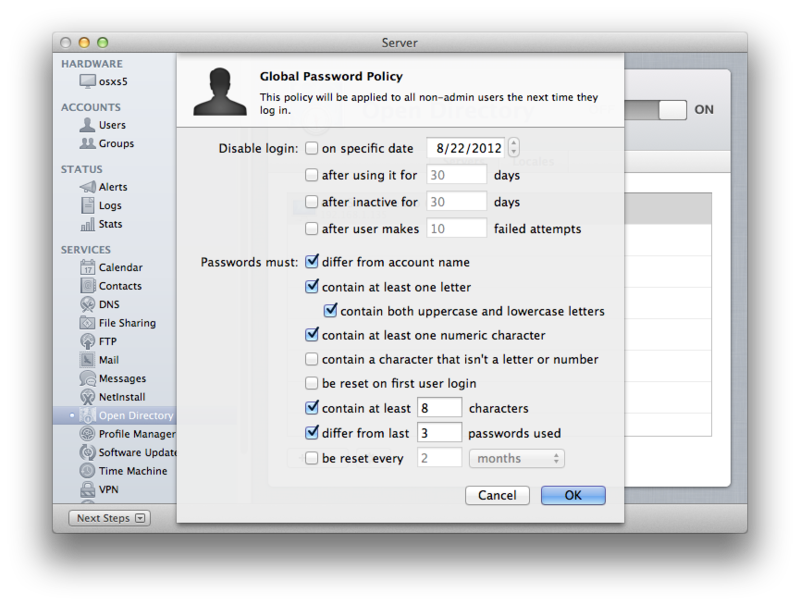 Screenshots of this process are below with quick comments. 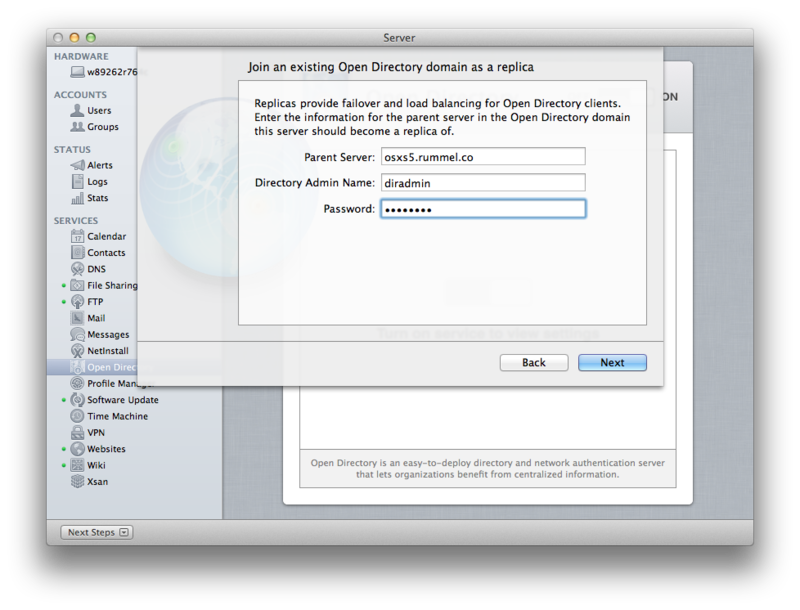 The glaring item is that the true functionality of Open Directory is now LDAP, Kerberos, and PasswordServer; and nothing more. Workgroup Manager used to store its values within the ODM’s Apple LDAP schema, but WGM does not exist anymore (that’s what you get for writing before things are released… WGM does exist!). 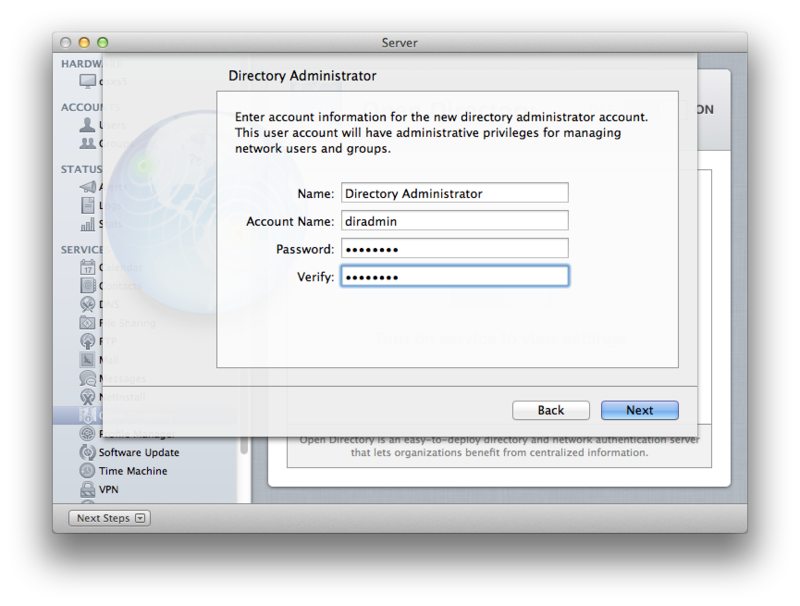 The transition to using Configuration Profiles is now complete from Apple’s point of view, which is just like the transition to do everything via Server.app. 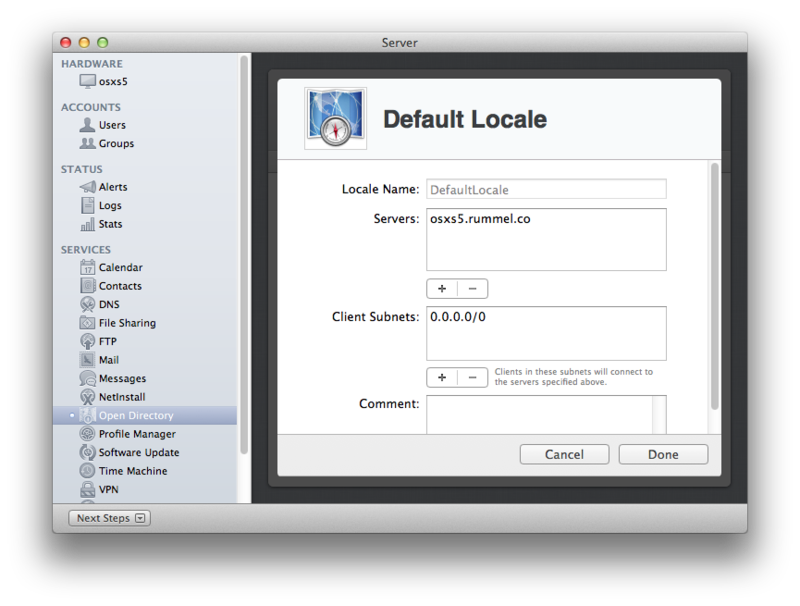 Will Mt Lion clients honor MCX values that are configured by a ODM that is not running Mt Lion OS X Server? 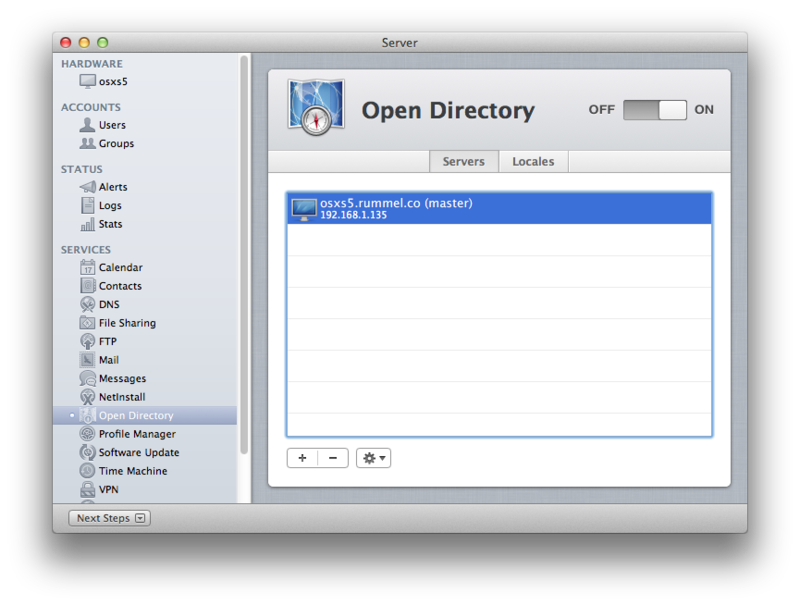 What happens to your MCX values if you upgrade from Lion OS X Server? 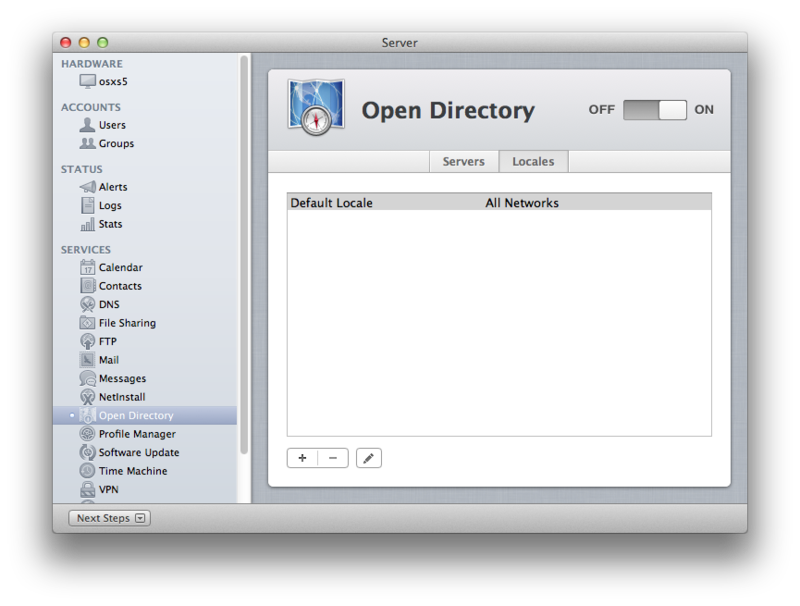 are there any issues running MT Lion server with older versions of OS X Server (10.7, 10.6, 10.5)? 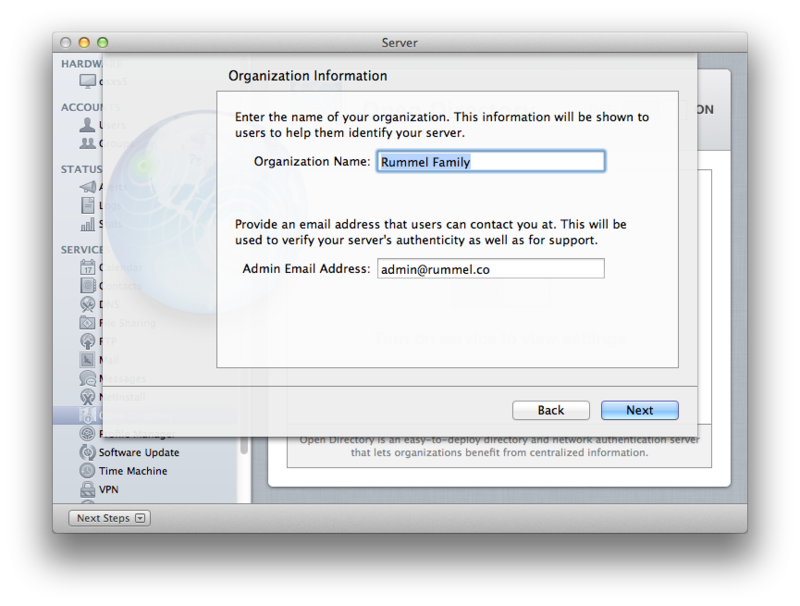 For that last bullet, it is always best practices to use the same version of OS X Server throughout your environment. The only exception would be if a server is bound to your Directory for Authentication only (thus not functioning as a ODM or ODR). I’ll do my best to work on the first two bullets, PLUS AD integration for future posts. The on thing that is missing from the GUI is a backup and Restore process. Do you need to be in the same local network to set up an ODR? Our can you do it from a remote relocation? In my case master is in Florida. I need to set up a new server in south Carolina? Any ports need to be open? 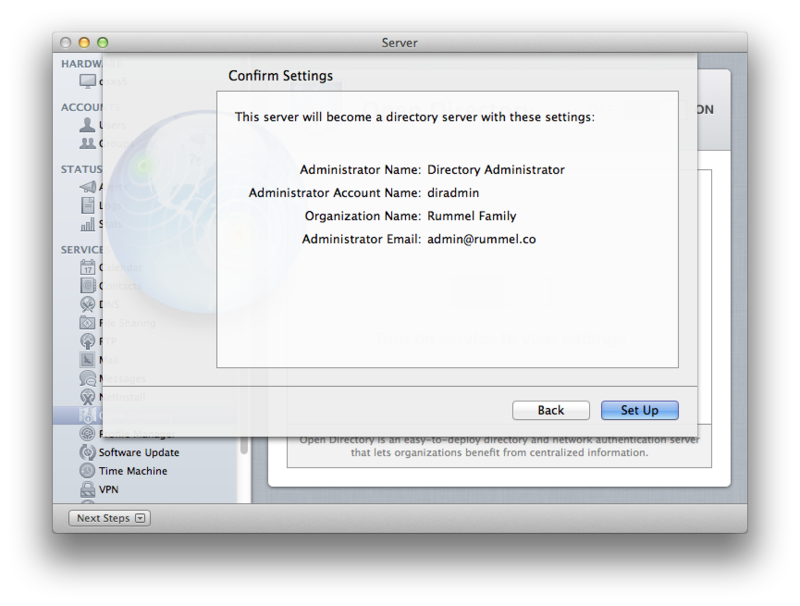 See https://support.apple.com/en-us/HT202944 for common ports. You would want to start with 311 and 660. 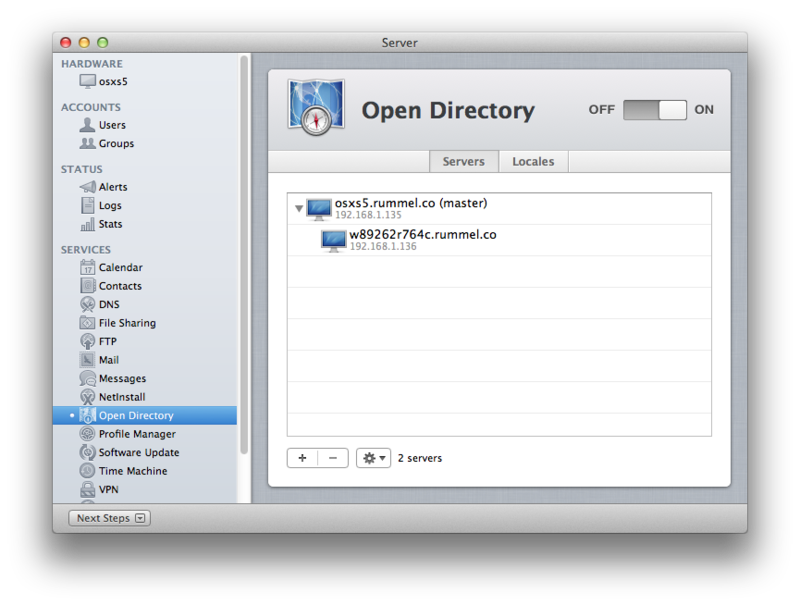 But you may want others open as well such as ARD to control, ssh, or look at Profile Manager thus need APNS.